The Pyrenees Orientales is a region that offers enormous diversity and beauty, making it a popular choice for both French and foreign buyers for a primary or secondary residence. The beaches are amongst the loveliest in the Mediterranean, with wide sandy beaches to the North and rocky secluded coves to the South, all with the coveted 'Blue Flag' awards for cleanliness and facilities. Coastal towns include the lively resorts of Canet Plage, St Cyprien Plage and Argeles. Older and more traditional are the now sophisticated fishing villages of Banyuls sur Mer and Collioure, so beloved by Picasso, Matisse and other artists for the beauty of the light, the architecture and the incomparable setting of mountains running into the sea. Perpignan is the main city of the region with interesting shops, historical interest and all the buzz of a multi-cultural centre. 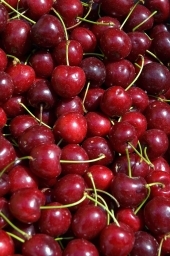 Prades to the West hosts the famous Pablo Casals music festival and Ceret to the South provides a rich programme of cultural events and festivals, such as the cherry festival in May which celebrates the first cherry harvest in France (a basket is sent to the president of France every year). There are also five 'Plus Beaux Villages de France' in the department. Villefranche sur Conflent with its Unesco World Heritage status for its Vauban fort, Mosset with its stunning hilltop setting and popular opera, historic Castelnou perched on the edge of the Pyrenean foothills, Eus said to be the sunniest village in France, and Evol hidden away in the mountains. There are also 3 ruined Cathar castles, relics from a battling era. You could be forgiven for thinking at times that you are in Spain. This region formed part of the ancient Kingdom of Mallorca, and the Palace of Mallorca still exists in Perpignan. The region didn't become French until the treaty of 1659. Half a million Spaniards entered France in 1939 fleeing Franco, and many remained in the area contributing to the distinctly Spanish flavour of both culture and cuisine. This combined with the Catalan culture existing on both sides of the border gives the area an exotic and flamboyant feel. 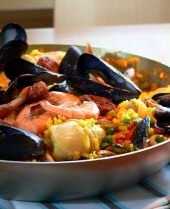 All the usual Spanish favourites such as paella and tapas are given a slightly regional twist as well as classic French cuisine. There are several Michelin starred restaurants in the area with young and rising chefs at the helm. 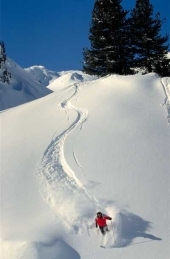 The Pyrenees provide the setting for many winter sports such as skiing, tobogganing, snow shoe walking in resorts such as Font Romeu and Les Angles. These are only a 90 minute drive from the coast. There are also many opportunities for hiking in the hills and mountains and swimming in the many lakes and rivers. There is a vibrant tennis scene and several award winning golf courses. No description of this wonderful area would be complete without a reference to its warm and balmy climate. Protected by the mountains to the West and the Mediterranean to the East, the Pyrenees Orientales enjoys a micro climate providing 300 days of sunshine a year and very little rainfall. It is the warmest area of France and enjoys a long, dry summer and a short mild winter - it is not unusual to eat Christmas lunch outside. 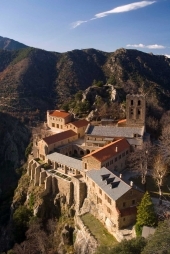 With its easy access to Spain, ski slopes, stunning scenery and wonderful beaches and with several international airports around the area (Perpignan, Toulouse, Gerona and Barcelona) the Pyrenees Orientales is an ideal location for holidays or permanent living.